Top cover with integrated heat-sink for fitlet. Made of extruded and machined aluminum with anodize finish. Large surface area for improved heat dissipation. 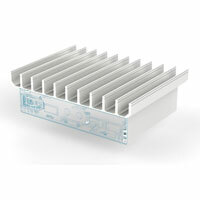 The heat-sink allows running fitlet at full TDP regardless of ambient temperature. 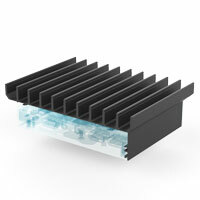 Top cover with integrated heat-sink for fitlet-RM. Made of extruded and machined aluminum with black anodize finish.